Lawyers’ Rights Watch Canada (LRWC) is a committee of Canadian lawyers and other human rights defenders who promote human rights and the rule of law through advocacy, education and research. LRWC is an NGO in Special Consultative Status with the Economic and Social Council of the United Nations. 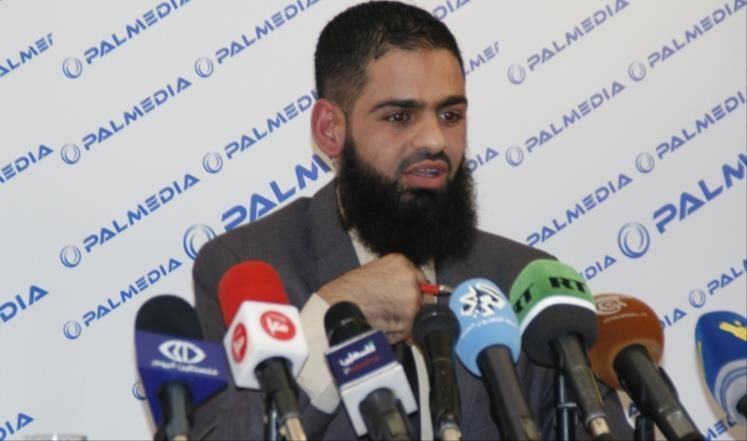 LRWC is gravely concerned about the treatment of Palestinian lawyer Muhammed Allan, who was seized from his family home during a pre-dawn raid by Israeli occupation forces on 8 June 2017, placed under administrative detention, and is currently on day 34 of a hunger strike to protest his arrest and administrative detention. Since day 10 of his hunger strike he has been held in solitary confinement, contrary to Israel’s international law obligations. LRWC urges the government of Israel to respect its international legal obligations, to end Mr. Allan’s unlawful detention immediately, and to ensure his immediate release. Mr. Allan was arrested by Israeli forces on 8 June 2017, without charge. To protest his arrest and administrative detention, Mr. Allan began a hunger strike the same day as his arrest. This follows a previous administrative detention of one year, from which he was released in November 2015 following a 66-day hunger strike. On 2 July 2017 the Israeli military court indicated it will charge Mr. Allan with “incitement” on social media for posting about politics and for participating in demonstrations to support Palestinian prisoners and demand their freedom, however, no reports indicate that charges have been laid. On 17 June, on the tenth day of his hunger strike, Mr. Allan was transferred to Megiddo prison, then transferred to Shatta prison, Gilboa prison and then returned to Megiddo, all in isolation. According to media reports, the Israel Prison Service uses frequent transfers as a form of pressure on Palestinian prisoners, particularly those on hunger strike. On 15 June and again on 5 July, the Israeli military court extended his administrative detention. Mr. Allan’s arrest and continuing detention without charge are contrary to Israel’s obligations as a State Party to the International Covenant on Civil and Political Rights (ICCPR), in particular articles 9(1) regarding arbitrary detention, 9(3) regarding pre-trial release and 14(2) regarding the presumption of innocence. Sadly his case is not an outlier: at the end of August 2016 there were 644 Palestinians held in administrative detention, imprisoned without charge or trial, for indefinitely-renewable periods of up to six months on the basis of secret evidence, by the Israeli Prison Services. Concerns remain regarding Israel’s continued practice of administrative detention, which has been used to detain a wide range of people who have not been charged and tried according to international law. In the absence of charges, disclosure, and proper judicial oversight, it is not possible to say in any given case whether there were grounds for the arrest or whether circumstances requiring pre-trial detention existed. In such a situation, the rights to liberty and the presumption of innocence prevail, and the detained person is entitled to release. Israel’s systematic use of administrative detention as a replacement for actual trials violates international human rights and humanitarian law. LRWC denounces the arrest and transfer of Mr. Allan to solitary confinement on day 10 of his hunger strike. He has now served 25 days in isolation, imprisoned without charge. The use of long-term solitary confinement is widely understood to be a form of cruel, inhuman or degrading treatment that may amount to torture. LRWC is particularly alarmed that Mr. Allan’s transfer to isolation closely follows the end of a 40-day mass hunger strike of over 1,000 Palestinian prisoners which ended 27 May 2017, in which the prisoners were protesting their rights and demanding better conditions, such as the end to solitary confinement. In light of this protest the UN Special Rapporteur on human rights in the Palestinian Territories Occupied since 1967 expressed concern about reports of prisoners being held in solitary confinement due to their participation in hunger strikes. If properly charged, ensure Mr. Allan a trial that strictly complies with the due process requirements under Israel’s domestic law and the fair trial requirements of the ICCPR. Immediately end the use of solitary confinement to pressure hunger-striking prisoners using non-violent forms of protesting rights violations. End the use of administrative detention, a practice which counters the fundamental right of presumption of innocence. Detainees should either be charged with an offence and tried according to international standards, or released immediately. Ibid and “Re-arrested Palestinian Lawyer Muhammed Allan isolated on tenth day of hunger strike,” 17 June 2017, online: http://samidoun.net/2017/06/re-arrested-palestinian-lawyer-muhammad-allan-isolated-on-tenth-day-of-hunger-strike/. B’Tselem – The Israeli Information Center for Human Rights in the Occupied Territories, “Statistics on Administrative Detention,” updated 9 January 2017, online: http://www.btselem.org/administrative_detention/statistics; Addameer Prisoner Support and Human Rights Association, “Administrative Detention. December 2015, online: http://www.addameer.org/israeli_military_judicial_system/administrative_detention. Addameer Prisoner Support and Human Rights Association, “Factsheet: Force-feeding under international law and medical standards,” 16 November 2015, online: http://www.addameer.org/publications/factsheet-force-feeding-under-international-law-and-medical-standards. “UN Joint Statement on new Israeli law on force-feeding of detainees,” 8 August 2015, UN Office for the Coordination of Humanitarian Affairs, online: https://www.ochaopt.org/results.aspx?id=4771660. UN News Centre, “Amid hunger strike, UN expert urges Israel to comply with international law on detention,” 16 May 2017, online: http://www.un.org/apps/news/story.asp?NewsID=56764#.WWHAxsbMzVo. UN News Centre, “Solitary confinement should be banned in most cases, UN expert says,” 18 October 2011, online: http://www.un.org/apps/news/story.asp?NewsID=40097#.WPjiBtKGNPY. New York Times, “Palestinian Prisoners End Hunger Strike in Israel after 40 Days,” 27 May 2017, online: https://www.nytimes.com/2017/05/27/world/middleeast/palestinian-prisoners-hunger-strike-israel.html.